We all know I love a good party and planning one I love even better! Today I want to highlight one of my favorite and easiest things to put together which is....a charcuterie plate! 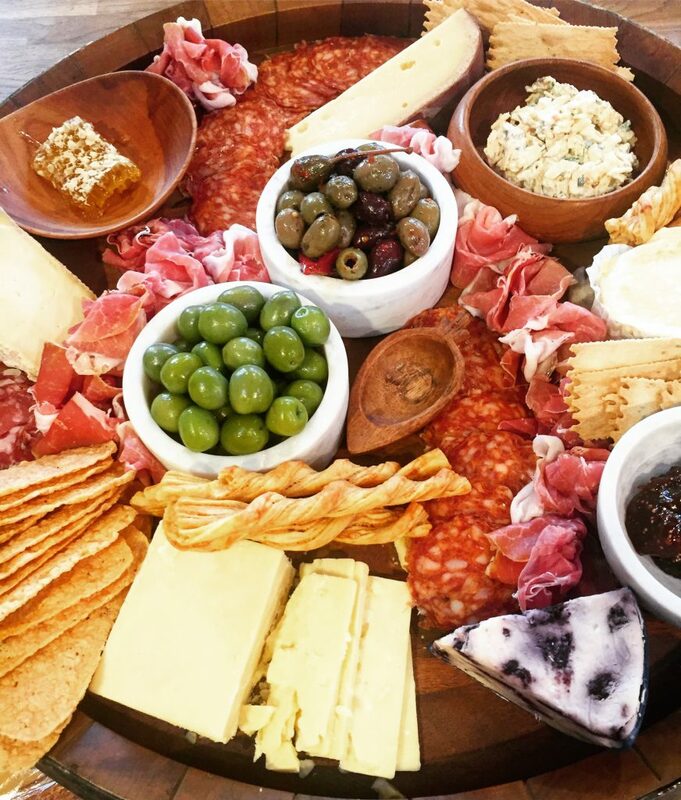 Whether it's a get together with family & friends or holiday party a good charcuterie plate is always a crowd pleaser! I think what I love most about putting together one of these is that it can satisfy such a big crowd with a diverse group of people . You can be a purist who only uses the finest of seasonal ingredients to someone who finds a plethora of delicacies to impress your guests. I personally do a little of both, if it's a holiday party for a smaller crowd I like to tailor my choices to fit my guests and my menu for the evening. If it's a bigger party with guests I may not know, I like to do a big spread that everyone can find something they can enjoy! Check out below my "how to make a killer charcuterie plate". Bon Appetite! I always start out with a great base first like a big wood tray or platter. I add the largest pieces in like the cheese and place bowls with olives or honey. Then its all about layering! Add in rows of salami or make little bunches of prosciutto for a pretty floral look. Then add in crackers and jam into bowls. Its about variety in ingredients and color that makes a platter like this pop! I also love to add fresh fruit like grapes and figs for a natural element to the board. Some boards are simpler then others, I think the biggest impact is made by a really nice large surface to work on then adding the layers and variety.